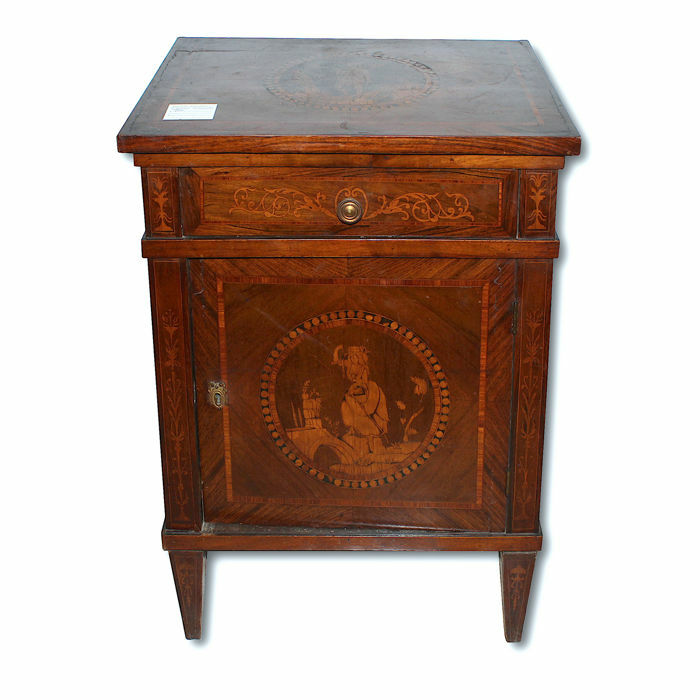 Small Louis XVI bedside cabinet from Lombardy of the second half of 1800s, walnut with maple inlays. 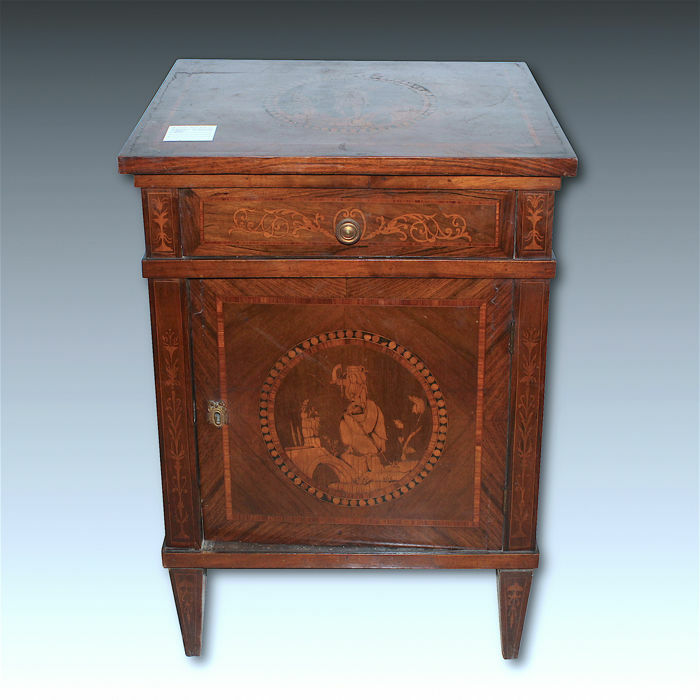 The front features a door bearing a central medallion depicting a peasant woman, while the drawer above shows a floral pattern. 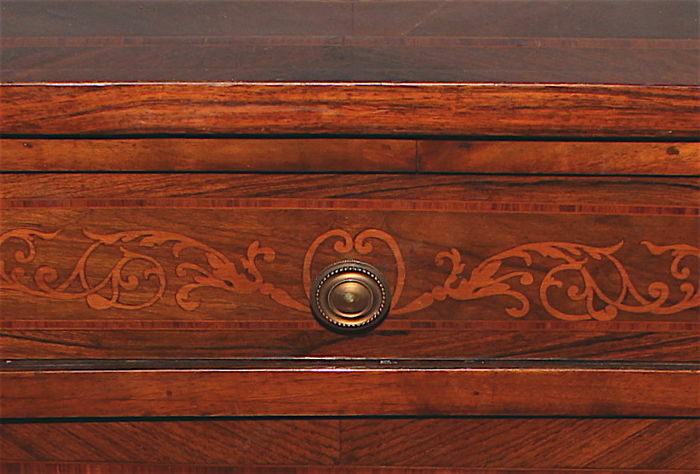 On the surface inside the medallion a farm scene is depicted, the foot is in pyramid trunk shape typical of the period. Dimensions: 57x40 H 77 cm. 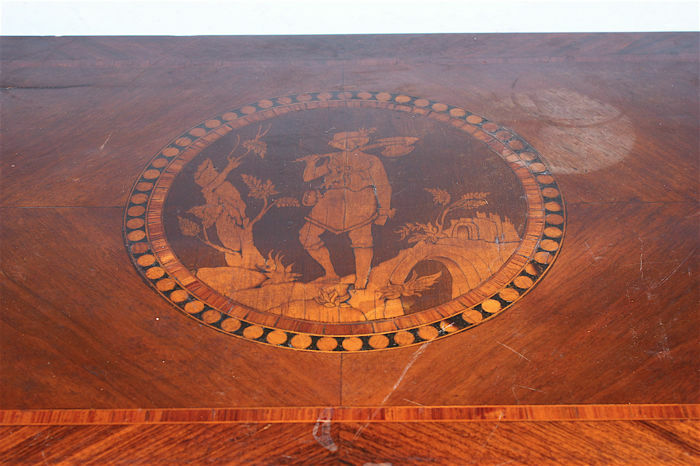 You can pick up this lot from the seller: Torre del greco (NAPOLI), Italy.